We loved these smothered pork chops so much that I actually made this batch of chops to photograph for this blog post (and eat for dinner, of course! ), and I have made it twice more in the meantime. They are so yummy and my whole family loves them, which is such a nice thing these days as my oldest gets pickier and pickier (add eye roll here…). 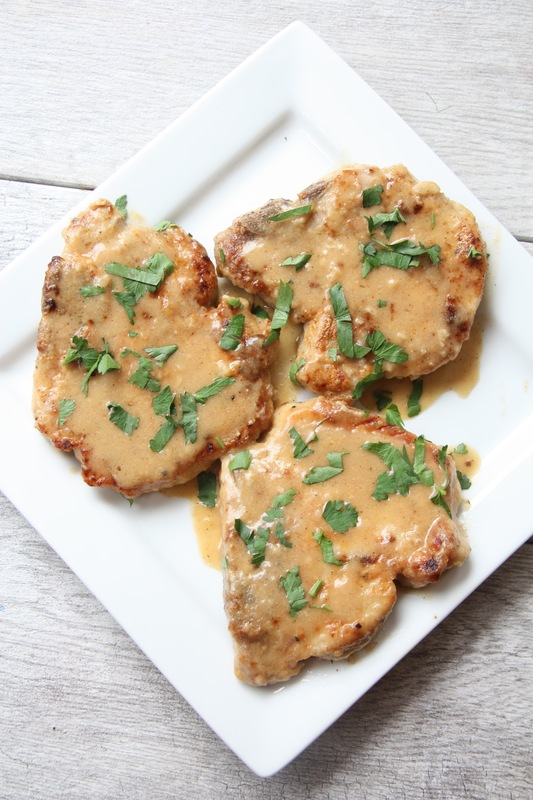 These chops are pan fried and then smothered with a buttermilk gravy. Uh, yes please! 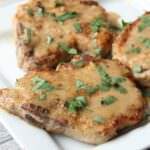 You can serve these pork chops with some mashed potatoes or even some roasted potatoes to help soak up some of the delicious homemade gravy. You won’t be disappointed! Enjoy! Add flour, garlic and onion powder, salt, cayenne and black pepper into a shallow dish and stir to combine. Pat the pork chops dry with paper towels and then dredge in the flour mixture. Heat large sauté pan over medium high heat and add oil to the pan. When the oil is hot add the pork chops to the pan in a single layer and fry for 3 minutes on each side until golden brown. Remove the pork chops from the pan. Add two tablespoons of seasoned flour mixture to the pan drippings. Mix the flour into the fat to dissolve. Pour in the chicken broth. Let the liquid cook down for 5 minutes to reduce and thicken slightly. 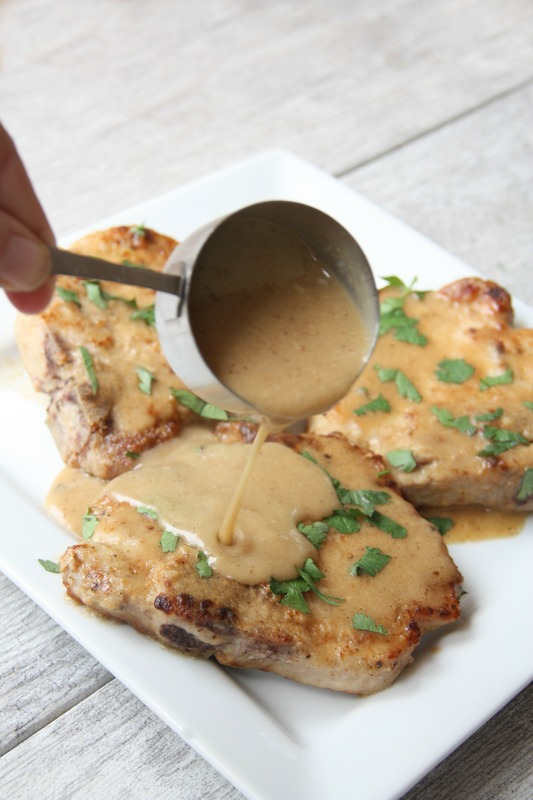 Stir in the buttermilk and return the pork chops to the pan, covering them with the sauce. Linked up at Buns in My Oven, Tidy Mom, The Pin Junkie, Katherine’s Corner and Saving 4 Six.